This destination wedding in Aruba was held at Renaissance Island, a private island owned by the Renaissance Aruba Resort & Casino. 40 guests watched as the bride is escorted down the aisle by her father on a beach filled with flamingos. 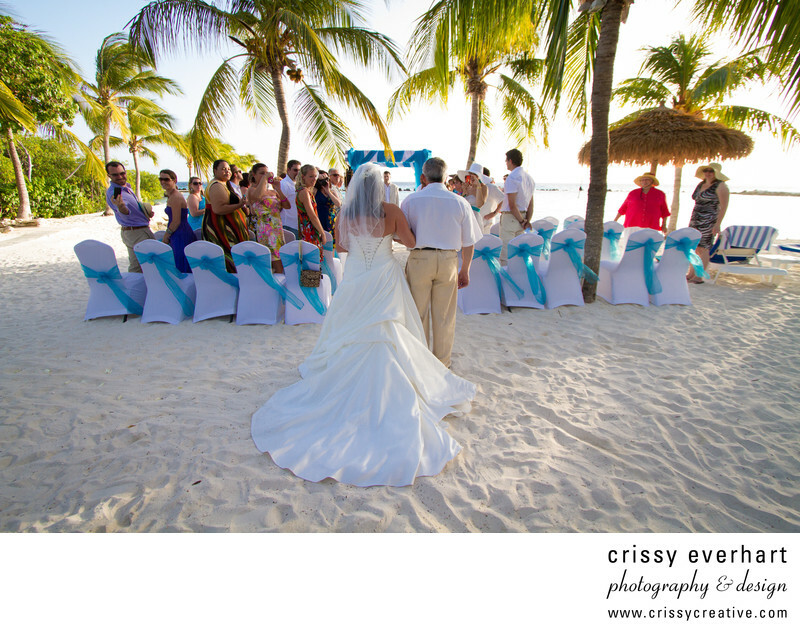 Palm trees, blue skies, sand and perfect weather made for a fabulous destination wedding!